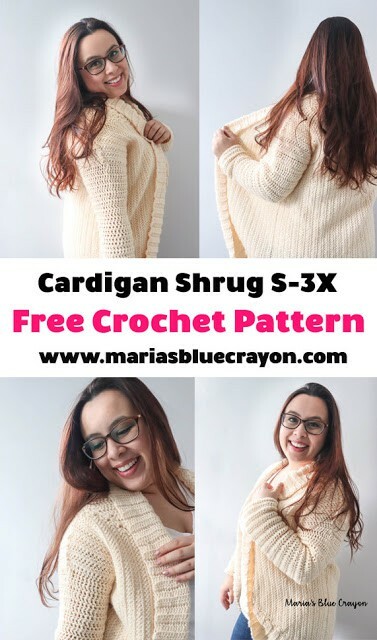 Make the crochet cardigan shrug with this free crochet pattern! Sizes Small – 3XL and additional length sizes Petite – Tall. Keep scrolling for the pattern! When I dreamed up this design, I wanted something comfortable to wear around the house but something I could also grab and go out the door for a quick errand. I love the ease of shrugs, but I’m not always a fan of the ‘arm wing’ that comes with it. I know that isn’t a technical term, but if you’ve ever worn a shrug – you know what I mean! So for this design, I wanted the body to be like a shrug to have that oval drape in the front panels but I wanted ‘normal’ sleeves so I could reach over my desk while working without feeling limited in my reach. The body of the cardigan is a regular fit and super cozy. 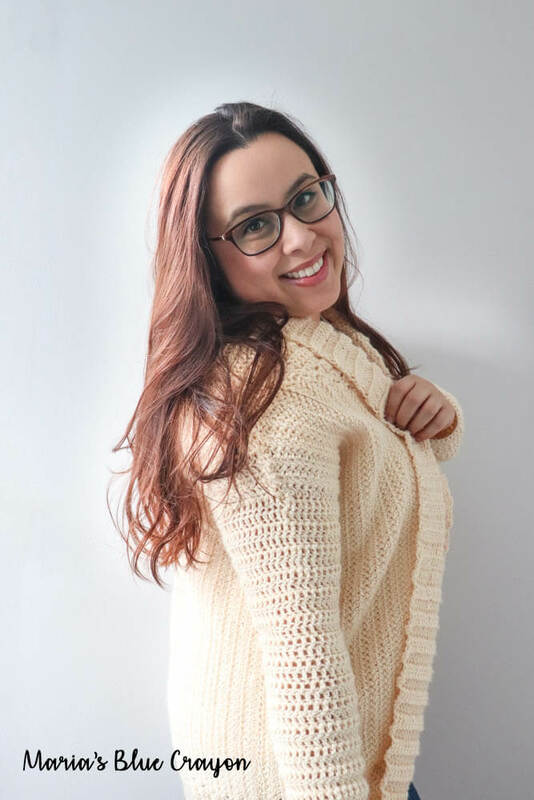 The extra collar and ribbing that wraps around the entire cardigan gives you an extra cozy element and creates a great added texture! 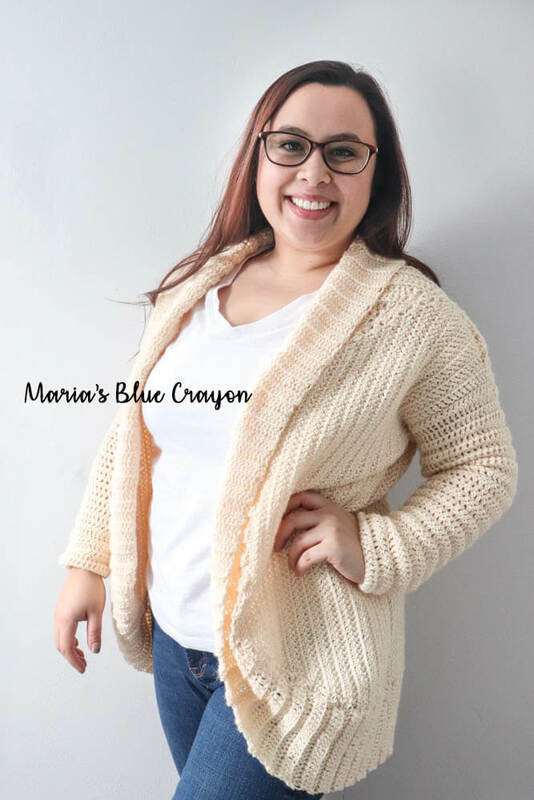 I wanted to add subtle texture throughout the cardigan to make it stand out in a simple way, so I used a few different stitches for each component of the cardigan. To add a different texture, I veered away from horizontal rows. 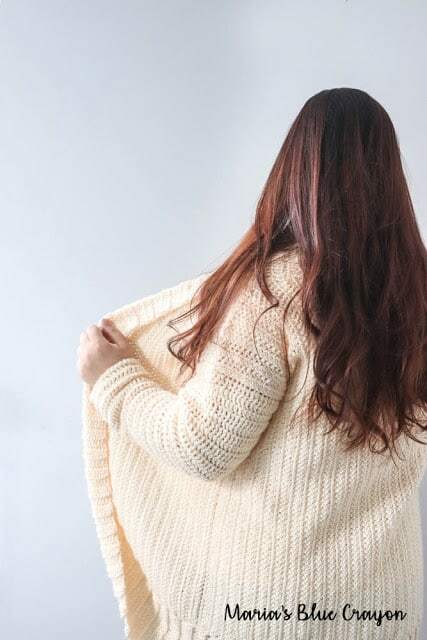 Instead, the panels of the cardigan are made in vertical rows – you can see the vertical rows clearly in the back of the cardigan. I also used a herringbone stitch for the body of the cardigan and then completed the sleeves and ribbing with basic double crochets. My previous cardigans were made from either worsted weight or bulky yarns. I wanted to go out of my comfort zone and use a lighter weight yarn. 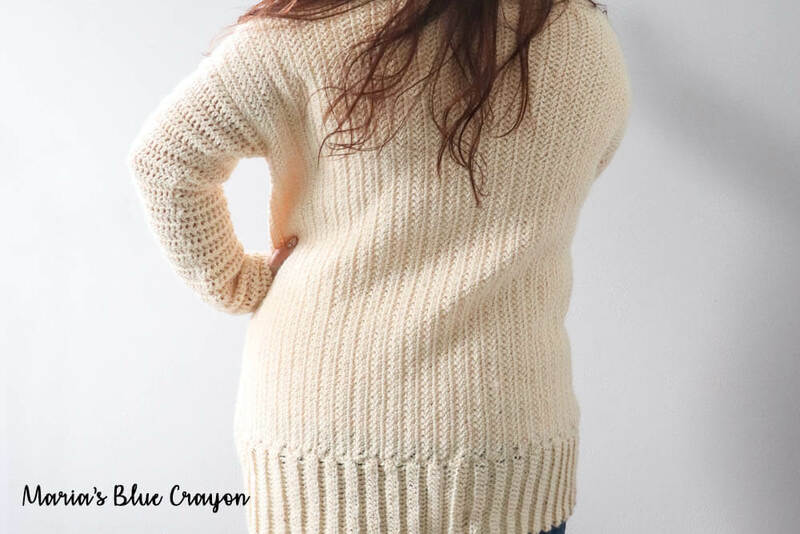 I ultimately decided on using Knit Picks Brava Sport in Cream. It is a weight 2 100% acrylic yarn. I heard it was a nice yarn to work with and washes up nicely. Since I knew this cardigan would have some weight to it with the extra collar/ribbing along with the herringbone stitch, I thought it would be a good idea to use a light weight yarn so it wouldn’t weigh me down while worn. For a crochet cardigan, it is pretty light weight. It is even lighter than my Heartland Cardi that is shorter in size and uses only double crochets. It did take a bit more time for this cardigan to come together because of the weight of the yarn, but I’m telling you – it was worth it! However, if you are more comfortable getting a yarn you are able to get in stores – I get it! I would recommend finding a sport weight yarn. Typically, many baby yarns are in the lighter weight categories. If you shop at Hobby Lobby, they have a yarn called “Baby Bee Sweet Delight” and although it is a baby yarn, it comes in several beautiful neutral shades. I used the one of the gray colors for my Ruffle Cardigan that you can get the free pattern for here. What ever yarn you choose, just be sure to check your gauge! I lay out everything you need to know about gauging and how to do it here in this post. 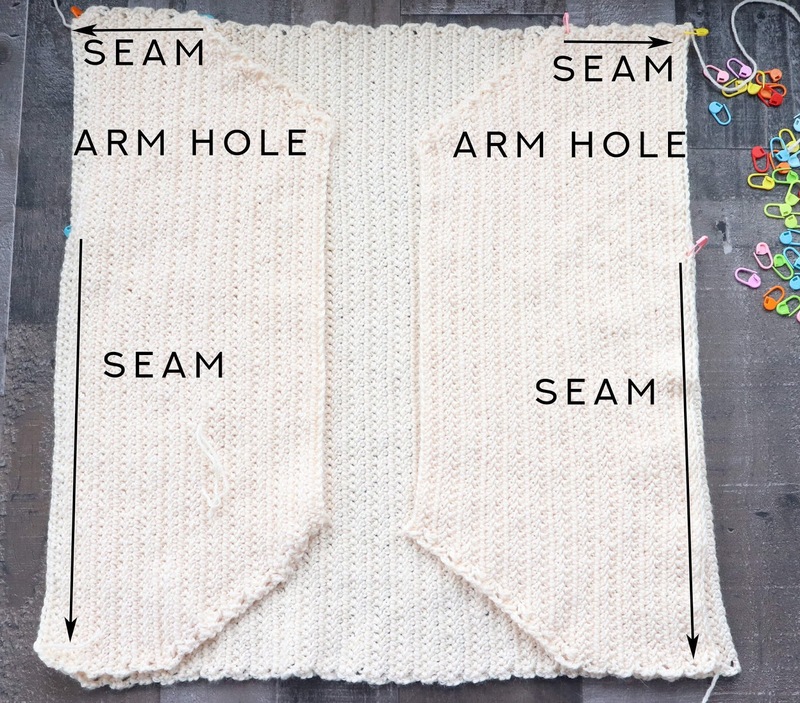 It takes a few minutes, but will ensure your cardigan will come out the right size! 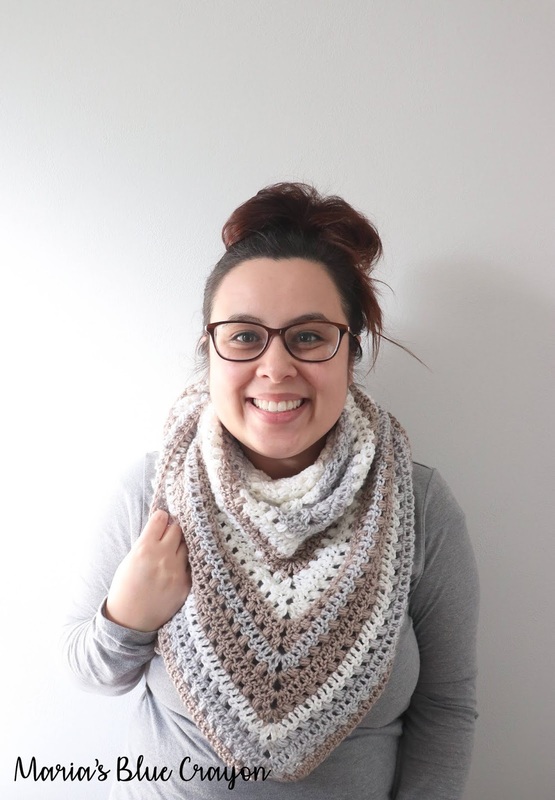 There are a total of 18 different sizes for this crochet pattern! I know, that sounds like way too many sizes, but it’s true! The ‘normal’ sizing/bust sizing is there – S,M,L,XL,2X,3X. PLUS I’ve added sizes for height – Petite, Average, Tall. So if you need a Small Tall, it’s all in the pattern. If you need a XL petite, it’s all laid out for you! Being a shorty (4’10”) I know how frustrating it can be to only find clothing that doesn’t fit correctly. Plus, I’m a size large so a lot of the things I try on in the store are by default too long. 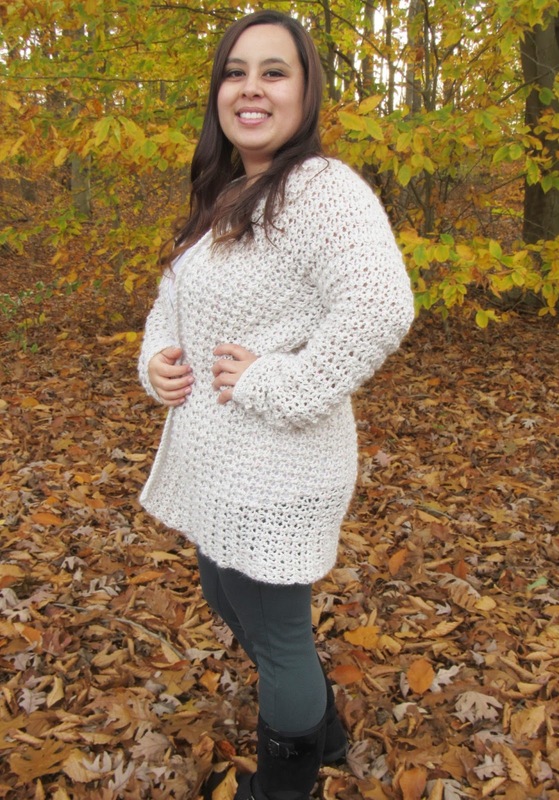 Crocheting your own garment should be custom fit to your body so I’ve thrown in ALL the sizes! This cardigan is meant to fit you perfectly so you can cozy up in it, I hope you find your perfect size that I’ve provided. Please PIN this to your crochet boards to share it with all your friends! Grab a copy of the PDF if you like the convenience of being able to download/print – it also supports my blog and keeps the patterns coming! Get the ad-free printable PDF on Ravelry or Etsy. 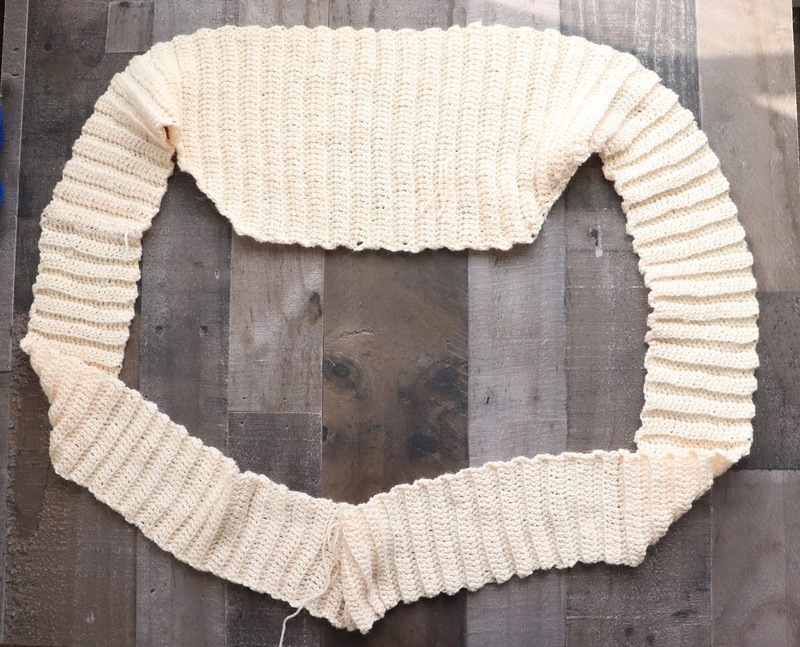 Save this pattern to your Ravelry. PIN it on your Crochet Pinterest board for later. Herringbone double crochet – Yarn over, insert hook in stitch, yarn over, pull up a loop, pull through one loop on hook, yarn over, pull through one loop, yarn over, pull through two loops on hook. 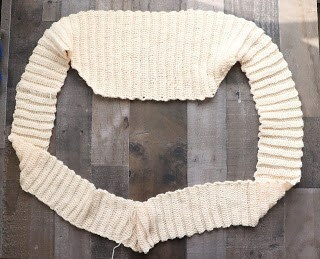 Top and side of collar will be folded down and not accounted for in measurements. 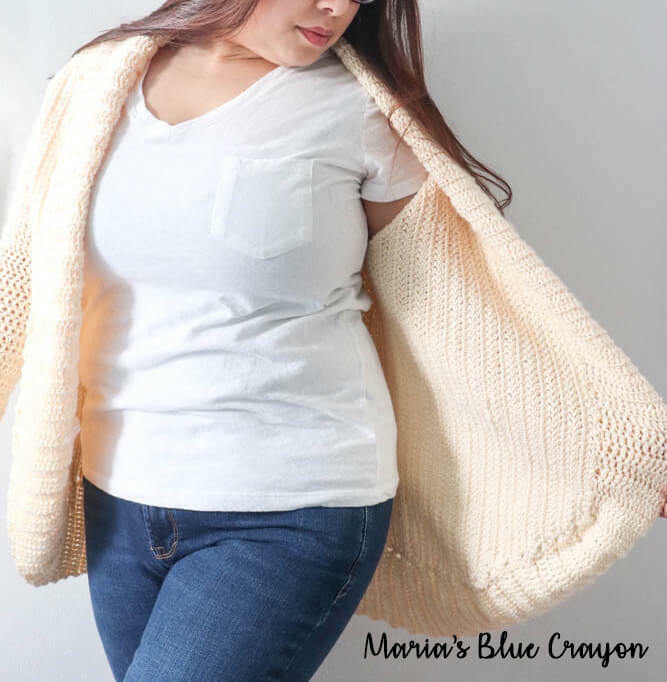 There are a total of 18 sizes to choose from when making this cardigan. First choose size according to bust and then choose size according to height. Example: Large Petite. Beginning chain determines the length of the garment and will be written in Petite/Average/Tall numbers. Row 2 repeats create the width of the garment and will be written for sizes S (M, L, XL, 2X, 3X). 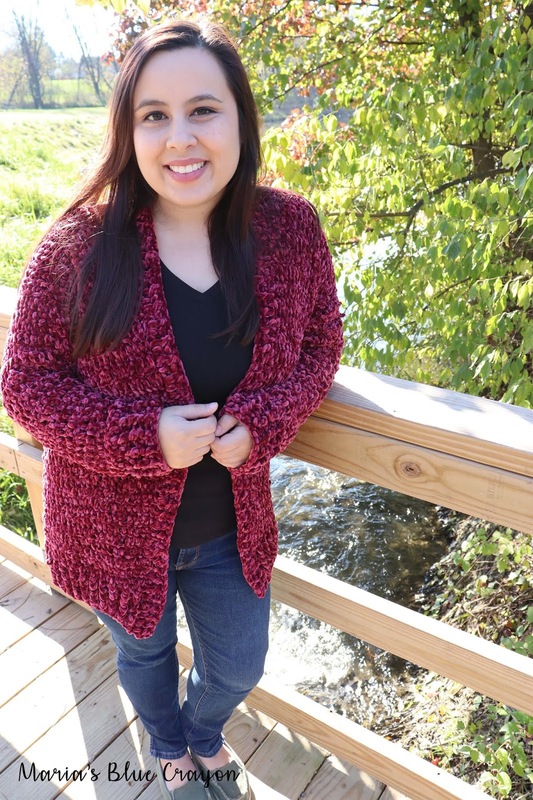 This cardigan is made in 4 pieces: 1 back panel, 2 front panels, and collar/ribbing. Sleeves will be crocheted on last. Once the panels are completed, the rows will lay vertically when assembling the pieces together. When seaming and attaching the components together, the mattress stitch method is recommended. Find a video tutorial for the mattress stitch here. I have two different gauges listed as my tension was different for the two different stitches used in the pattern. Please check gauge to ensure your project comes out the size you want. Beginning chain counts as a stitch when stated in the pattern, otherwise the beginning chain does not count as a stitch. Repeat Row 2 until you have a total of 49 (52, 55, 58, 61, 64) rows. We will begin to decrease at the beginning and end of each row. Each row will be two less sts than the previous row. Repeat row 2 until you have the total number of rows listed in the chart below according to the size you are making. Repeat row 2 for a total number of rows listed in the chart according to the size you are making. Seam the first and last row together using the mattress stitch. Lay the back panel flat. The herringbone stitch will create a “v” pattern, you may decide if you want the “v” pointing up or down. Lay the front panels on top of the back panel, making sure the “v” pattern is going the same direction. Use stitch markers to pin together the front panels. Pin along the top shoulder areas and down the sides leaving a 7 (7.5, 8, 8.5, 9, 9.5) inch opening for arm holes on each side. Using the mattress stitch, seam up the top shoulder area and sides leaving the arm holes open. Pin the collar/ribbing onto the edging of the cardigan. Where the collar/ribbing increases/decreases, you will be able to fit that onto the top front panel like a puzzle piece. You can start at the top front panel, working your way around the neck line, around and down the second panel, around the back, and back up the first panel. Pin around carefully, making sure not to stretch the collar/ribbing too much while pinning. 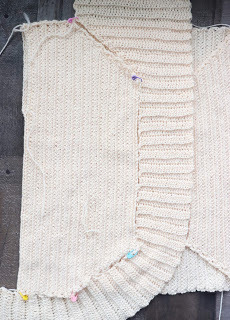 Using the mattress stitch, seam together the collar/ribbing to the main body of the cardigan. Weave in any ends. 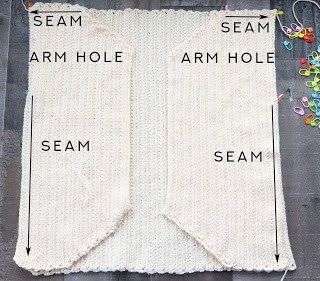 Attach yarn to armpit area of one arm hole opening on main body of cardigan. For sizes 2X-3X, fasten off and weave in ends. For sizes S-XL, repeat Round 1 for an additional 6 (5, 3) rounds. Each sleeve for all sizes will have a total of 35 rounds. You may add/subtract rows here if you need extra/less length. Repeat these steps for the second sleeve. Hi, I can’t wait to start this, but I don’t know how much yarn to order. I’ll be making the small/average size. Thanks! PS-I love your patterns! !